It's almost here! 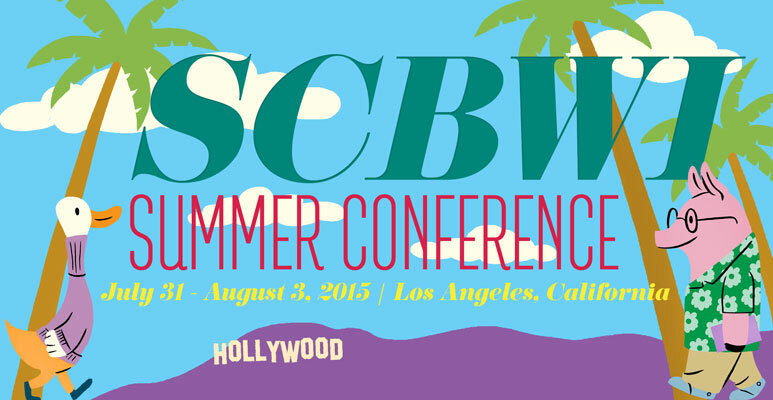 Tomorrow's the start of the sold-out 2015 SCBWI Summer Conference in Los Angeles. 1. Wear your nametag everywhere. Even at the mall when you're grabbing some food. Or hanging out in the lobby in the evening. Your conference nametag is a great way for you to identify others of our tribe, and for them to identify you. 2. Do your homework. If it's too late for in-depth preparation, cram. Read the faculty bios. Study the breakout session choices in advance. Make a point of hitting the conference bookstore early to check out speakers' books before they present. (After they present, their books are often sold out!) The more you prepare, the more you can get out of keynotes and sessions. Writers can learn a lot from illustrators. 4. Be friendly. Make friends. SCBWI offers you a great community where you belong just by your passion for writing and or illustrating books for kids and teens. A community where others are happy for your success. So, remember to let others know you're happy for their success, too. And when the journey doesn't feel full of success, that's when your friends really shine for you. 5. Have a great time! Allow yourself to be proud - you've claimed these days for your passion, your career, your writing and illustrating. That's a huge gift. Enjoy every minute of it! Illustrate, Write and Conference On! Debra Kachel, Professor of School Library and Information Techologies at Mansfield University of Pennsylvania writes in "The Conversation" about the disturbing trend of elementary and high school libraries "being neglected, defunded, repurposed, abandoned and closed." 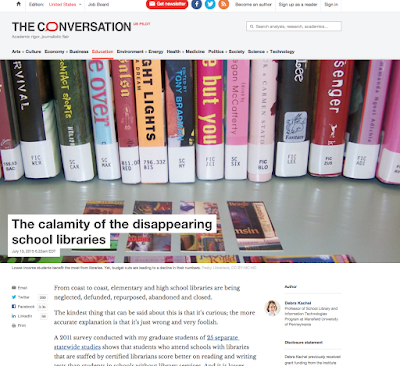 "California has hemorrhaged school librarians to the point where it now has the worst ratio - 1-to-7,000 librarians-to-students – of any state in the nation. In 1991, there were 176 certified librarians in Philadelphia public schools. Today there are 10. It appears that 206 out of 218 classroom buildings in the school district of Philadelphia have no librarian. Two hundred Philadelphia schools do not have a functional library book collection. A majority lack the technology to access necessary e-resources. And 85% of these children come from homes in poverty. The article explores why the cuts are happening, and looks at some legislation that might help. Important – and galvanizing – information. 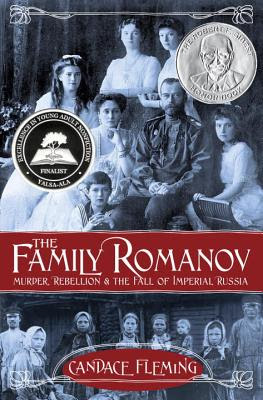 Candace Fleming on Winning the 2015 Golden Kite Award (For Nonfiction) for her "The Family Romanov: Murder, Rebellion & The Fall of Imperial Russia" - And a Chance To Win A Copy of Her Award-Winning Book! Lee: First off, congratulations on your second Golden Kite for Nonfiction, for “The Family Romanov!” What was it about the Romanovs and the fall of Imperial Russia that drew you to want to invest the time in telling this story? Candace: I first read Robert Massie’s Nicholas and Alexandra the summer between my 7th and 8th grade year after pulling it off my mother’s bookshelf. “You’re not going to like that,” she warned. “It’s pretty dense history.” She was right. It was dense, but I loved it! Imperial Russia (and its demise) intrigued me. I was hooked. That sense of curiosity has stuck with me over the years. I’ve read dozens of books on the topic. I’ve watched documentaries and gone to museum exhibits. And I can recite – seriously – whole passages from Dr. Zhivago. But I’d never considered writing about the Romanovs until five years ago. That’s when students in middle schools – mostly girls -- suddenly started asking if I knew anything about Anastasia Romanov. I would visit a school and inevitably during the question-and-answer period of my presentation a hand would wave wildly in the air. No matter that I’d come to talk about Eleanor Roosevelt or Mary Lincoln. Time and again I found myself talking about Tsar Nicholas II’s youngest daughter. Why the sudden interest in Anastasia? I finally found the answer. Those students had seen the animated movie, Anastasia, and realized it was based on a nugget of truth. But what was that truth? They longed to know. And they hoped I could tell them. Sadly, in the little time allotted, I really couldn’t – not enough anyway. And so I began to conceive of a book for them, one that would reveal the truth about Russia’s last imperial family. Lee: Were there surprises for you as you dug deeper into the history? Lee: Adding those was really powerful. There’s so much stunning detail, and connections you draw, like the number of stairs to a fateful end, mirroring the number of years Nicholas II ruled… 23. With mountains of material to explore, how did you decide what to include, and what to leave out? On a bright autumn morning in November, 1895 Tsar Nicholas’ first child, Olga, was christened in a ceremony befitting her position as “Her Imperial Highness the Grand Duchess.” At 10:45 a.m., a procession of crimson and gold carriages carrying members of the extended Imperial Family – aunts, uncles, cousins -- rolled through the park at Tsarskoe Selo. Soldiers in silver breastplates and scarlet tunics lined the route as the carriages passed over arched bridges and down wide lanes. At the end of the line, came the golden carriage carrying the little grand duchess. Regally, it made its way to the chapel in the Catherine Palace. A flourish of trumpets heralded its arrival. Inside, the chapel was already crowded with members of the nobility and the court - the men in full dress uniform their chests covered with medals, the woman in lace and satin and sparkling with jewels. Only the tsar and empress were absent (Russian Orthodox custom forbade parents from attending the baptism of their child). Princess Marie Golitsyn – the tsar’s elderly cousin --stepped from the carriage. Having been given the honor of carrying the infant to the baptismal font, the princess came prepared. To keep from dropping the baby, the satin pillow on which she lay was attached to a thick gold band tied around the Princess’ shoulders. And to keep her feet from slipping on the polished marble floors, pieces of rubber had been glued to the soles of her slippers. Cautiously, the cushion balanced precariously, the elderly woman moved toward the chapel’s gold-inlaid altar. Father Yanishev was waiting. Through clouds of sweet-smelling incense, the priest lifted the infant from her cushion. After removing her white-lace christening gown, he plunged her into the sacred – but cold – water of the baptismal font three times. The tiny Grand Duchess howled her outrage. Ignoring her cries, the priest clipped the infant’s downy hair in the shape of a cross. Rolling the clippings in wax, he tossed them into the baptismal font. According to church custom, if the hair sank the child’s life would be one of good fortune. If it floated, sorrow awaited. What would Olga’s fate be? All eyes were fixed on the font as the hair slowly circled to its bottom. A murmur rippled through the congregation. Good fortune, of course. What else would await the daughter of Tsar Nicholas II? It’s a pretty good scene, I think. Not only does it show the Romanov’s world of wealth and privilege, but also it foreshadows their tragic end. And yet this scene never made it into the book. I cut it. Why? Because the vital idea of my book-- the reason for telling this particular tale from history -- was to explain the “why” behind imperial Russia’s demise. Since this scene doesn’t speak directly to that vital idea, it had to go. So did dozens of other scenes. That first draft underwent some heavy-handed and painful pruning. I am not exaggerating when I say some cuts brought tears to my eyes. But a nonfiction writer has to carefully evaluate every detail and scene. Ultimately, if it doesn’t move the story forward, it has to go. The story determines what material is included. Lee: Wow. It's amazing to read that, and to hear why it didn't make the cut. Nonfiction often has a different traditional publishing process than fiction. Was this book sold with a proposal, or did you write the whole thing first before your agent sent it out? Candace: The answer is neither. I’m a little embarrassed to admit I’ve never written a proposal for any of my nonfiction books. Honestly? I don’t even know how to write a proposal. Instead, I’m blessed with an incredibly trusting editor who -- after twenty years of working together -- will write me a contract based on an idea. Yes, I do know how lucky I am. Lee: And we've all gotten some amazing books out of that, too! Any advice to offer other writers of nonfiction? Candace: Here are three ways to create gripping nonfiction for kids. 1. Write in scenes. Recreate worlds by describing more than just how things look. Sounds, smells, temperature and even textures of objects are all important. Have the people in your scenes talk to one another and interact with one another, or the narrative will feel lifeless. Make sure your reader knows how your “characters” are feeling above events depicted in your scenes. Don’t forget, however, that all this must be completely accurate. Every detail, every emotion, every quote or piece of dialogue must have a source, if not several. 2. Research. Research. Research. While researching, don’t look for the answers. Instead, look for the questions. When I began The Family Romanov, I read endless firsthand accounts of life in the palace written by former courtiers and diplomats. Then I read Maxim Gorky’s autobiography and I realized how profoundly different life was for 97% of the country’s population. My question was: what would it be like to live in a country where the government did nothing to help its starving, uneducated people? The research, which sprang from my research, began my research. So… explore the subject. Follow tangents. Be open to the material and willing to question it. 3. Finally, write the stories that captivate you. These are the ones you should be telling. Don’t worry about common core or school curriculums. Share your passion with young readers. And thank you, Candace, for sharing your passionate nonfiction with all of us! If you'd like a chance to win a copy of "The Family Romanov: Murder, Rebellion & The Fall of Imperial Russia," leave a comment on this post. A week from the publication date we'll randomly choose one winner. Good luck! Candace will be on faculty at the upcoming 2015 SCBWI Summer Conference in Los Angeles, July 31-Aug 3. 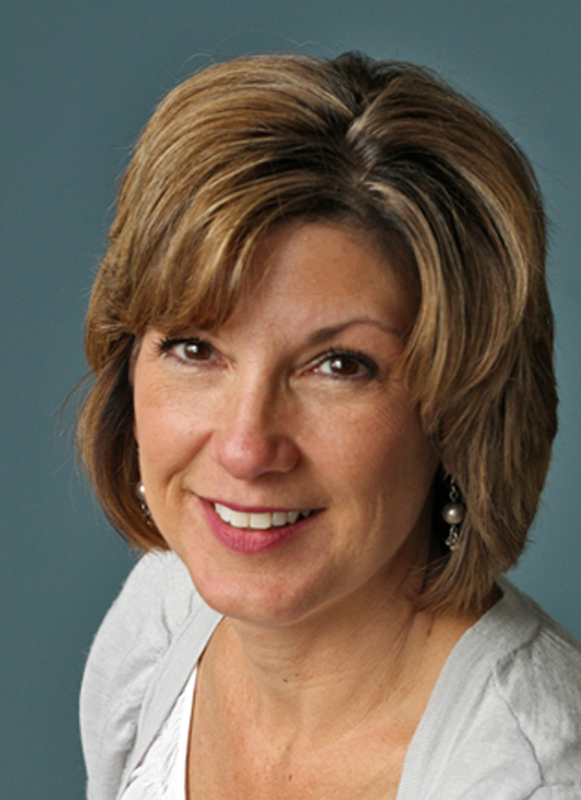 We hope you can join us to cheer her on and attend her breakout workshops, "Seven Simple Fixes for the Picture Book Text" (with Eric Rohmann) and "Five Secrets To Writing Narrative Nonfiction." You can find out more about Candace and all her books at her website here. Preparing for their upcoming regional conference (taking place in Charlotte, North Carolina on September 25-27, 2015) the RA team of Teresa Fannin and Bonnie Adamson got in touch to share their story of diversity defined... and expanded. It all began with the 2014 SCBWI Conference in Los Angeles. The LA conference gives regional team members the opportunity to scout out editors, agents, authors, illustrators and approach faculty about their willingness to participate in a regional conference. But for Teresa Fannin and Bonnie Adamson, [RA and ARA of SCBWI Carolinas] it turned out to be much more. Teresa: Yes, much more. We had chosen Your Story, Your World as our theme. Bonnie couldn’t make it to 2014 conference so I was shooting her emails and texts about the sessions I was attending and whom I thought might be interesting. I attended the diversity panel and was impressed with the quality of presentations, marking Adrianne Dominguez of Full Circle Literary as a possible agent for our faculty. I also attended a breakout on Page Turners with YA thriller author and VP of Communications for We Need Diverse Books, Lamar Giles. The subject of diversity is huge for SCBWI. Even with the Emerging Voices award and participation in We Need Diverse Books program, some still equate diversity with only race and gender. Little did we know we were about to challenge that idea for the Carolinas. Bonnie: I also liked the idea of an agent who was tuned into diversity. So I began to search for additional faculty under the same topic. My search took me to North South Books, which had just opened up to accepting manuscripts from US authors to sell outside the US. North South primarily published books that were written by Europeans and published in the US. Editor Beth Terrell agreed to come. Bonnie: About this time, Teresa found a Ted Talk with Chimamanda Ngozi Adichie. The theme of her talk was The Danger of A Single Story and the idea of how necessary it is to share one’s own story. Now we were at the point where we needed to add to the theme of our conference and it became Your Story, Your World: A Celebration of Diversity in Children’s Lit. Teresa: We then realized we had a tremendous resource on diversity, that diversity was not some exotic concept, but a vibrant reality in our own backyard. We put out a call for proposals. Now we have breakouts on USING YOUR OWN DIVERSITY, BUILDING AUTHENTIC LGBTQIA CHARACTERS, DIVERSITY, EQUITY & SOCIAL JUSTICE: CREATING STORIES FOR ALL KIDS, PICTURE BOOKS AND DIVERSITY, and more. Bonnie: Our definition of diversity now includes not only what you might call the ‘traditional diversity topics’ but also topics about mental illness and writing for a foreign market. We’ve also brought in Workman Press Editorial Director Daniel Nayeri, and Charlesbridge Editorial Director Yolanda Scott both of the CBC’s Diversity Committee to discuss the industry side of diversity in children’s literature. Teresa: With this conference we are pretty intent on keeping diversity out of a small pigeon-holed category. Our goal is expand the definition of diversity-- to show our membership diversity is a huge topic with a very inclusive definition: telling stories for children by authors and illustrators from every situation and from every viewpoint possible. You can find out more about this SCBWI Carolinas conference here. #LA15SCBWI is going to be amazing, and that's no secret – in fact, once again, our conference is going to sell out! We're calling it tomorrow, so this is your last chance to join us for all the craft, inspiration, business, opportunity and community of SCBWI's Summer Conference. You can find out all the details and registration information here. Whether you're able to join us or not, here's a round-up of all the conference faculty interviews so far, with lots of insight, information and reasons to be excited about both the conference and this career journey of writing and illustrating for kids and teens! I heard Brent talking about sequels (what makes a good one and why some don't work) on his Media Carnivores podcast with fellow author Erik Hanberg. 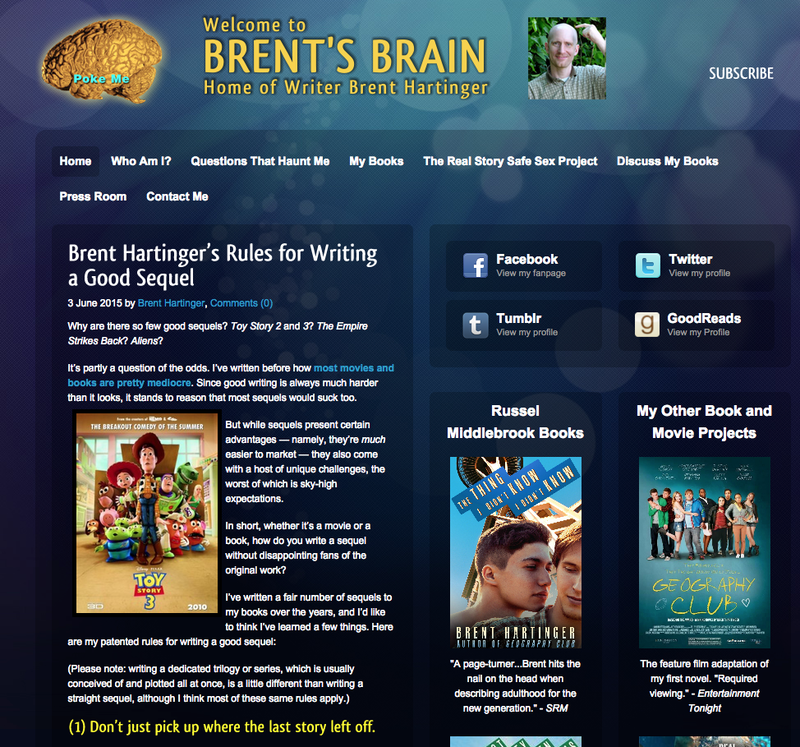 It was inspired by this post on Brent's blog, "Brent Hartinger's Rules For Writing A Good Sequel," which was in turn inspired by Brent's own writing of sequels. He's penned five sequels to his ground-breaking "Geography Club," plus a short story. "The point of a sequel — what viewers and readers really want (even if they don’t know it) — is to make people feel the way they did the first time around." To feel the way they did, not to pick up where that first story left off, or to tie up loose ends left at the end of the previous book. "What readers and viewers really want is to once again feel the way the first story made them feel. But you can’t go home again, and you can’t step in the same river twice. Ironically, the only way to make them feel the way they did before is for you, the writer, to do something fresh and different." 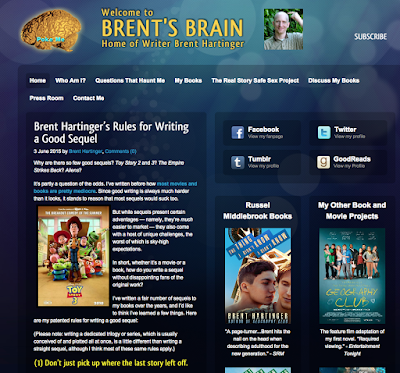 Brent's advice to add a great new character and make the stakes different, while at the same time giving the reader the same feeling as with the original, might just be part of the recipe of what makes a sequel work. Do you have your own rules for sequels? Deborah Wiles On Winning the 2015 Golden Kite Award (for Fiction) for her novel "Revolution" – And A Chance To Win A Copy of Her Award-Winning Book! Lee: Congratulations of winning the Golden Kite Award for your novel, "Revolution!" Deborah: Thank you so much! It's such a thrill, and a delight, to be recognized by my peers. I am a late bloomer! I won a SCBWI work-in-progress grant in 2001, which fueled me and kept me hopeful. EACH LITTLE BIRD THAT SINGS was a Golden Kite Award honor book in 2005. And now REVOLUTION is a Golden Kite Award winner ten years later, or 14 years after that work-in-progress grant and a good 24 years after I started writing for young people. It is never too late to get started. Never give up. Lee: Love learning that – thanks for giving us the overview of your writing journey so far! For those who haven't read it yet, can you share what your book is about? 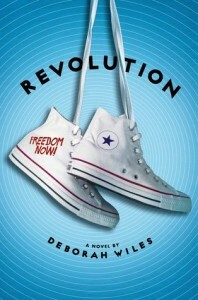 Deborah: REVOLUTION is book two of The Sixties Trilogy, published by Scholastic, three novels of the 1960s for young readers. It takes place in 1964 and examines the civil rights movement through the lens of Freedom Summer, in Greenwood, Mississippi. Sunny is twelve and sees her town "invaded" by freedom workers -- including Jo Ellen from COUNTDOWN (book one of the trilogy) -- who have arrived to register black voters in a state where African Americans are totally disenfranchised. Raymond, who is 14 and lives, literally, on the other side of the tracks, is spurred to action by those freedom workers and decides to integrate the LeFlore Theater when the Civil Rights Act proclaims that all public places will be open to all citizens. Things get ugly very quickly, and Sunny and Ray -- along with Gillette, Sunny's stepbrother -- are thrown together (even though they never meet) in a mutual struggle for self-respect and understanding. Then there are the Beatles arriving on America's shores, and Willie Mays having a great season with the Giants. Friendships, family, kinship, community -- my usual themes. Lee: You've crafted something that feels unique and very fresh - it's a novel, but it's packed with nonfiction elements including photos, quotes, news reports, maps, and even nonfiction essays… all helping to create the very real time and place setting for your fictional characters. Tell us how you came upon that mix. Deborah: As a kid, I most loved to read books that had "parts" to them and different ways of seeing, or understanding. As an adult, I read the John Dos Passos trilogy U.S.A. and was impressed with how he included "newsreels" of the day and biographies of famous people -- biographies that were acerbically opinionated and shone a light on how we became who we are as Americans. So I wanted to recreate this for young readers. I've worked as a writer in schools for over 20 years, and I have seen how hard it is for kids to grasp history -- just the idea of years, that there were 100 years between Emancipation and the Civil Rights Act, for instance -- and to see themselves as part of history, with choices to make that matter. I wanted to offer them a way of seeing the outside history of the world, including those opinionated biographies, so they could see that history marches on we are living our day-to-day lives. I want them to see an outside story and an inside story -- both are important. Lee: Very cool, the outside story and the inside story. What a neat way to conceptualize it! You also tell the fictional story of Revolution from multiple points of view – did that evolve as you created the story, or did you set out with the idea to make use of those different voices? Deborah: The differing points of view came to me as I worked to tell a story that had so much nuance in differing opinions about race, equality, humanity. I didn't want to tell kids about those opinions. I wanted them to experience them. Lee: Including photos in Nonfiction can be complex, often with the author responsible for negotiating rights. What was your experience including so many historical photos in the book? Lee: What a neat dual use of Pinterest - both for your readers and as an organizational tool for you! "Revolution" is the second book in The Sixties Trilogy. Can you share with us the big-picture arc of that series, and how the stories come together? Deborah: COUNTDOWN is book one. It chronicles the beginning of the '60s, the space race, Communism, and the Cuban Missile Crisis. REVOLUTION details the civil rights movement. Book three, tentatively titled TRIBE, centers around the Vietnam War, the counter-culture, and rock-and-roll. When all three books are published, I hope they will serve as not only a document of a decade, but as three interconnected (but stand-alone) gripping stories of fictional characters who come off the page to help you experience what it felt like to live in that time and place. All the scrapbooks will fit into one another neatly, across all three books, as will all the biographies -- there will be (roughly) 21 scrapbooks and there will be 12 biographies. You'll be able to understand the sixties in a number of ways. This decade was -- as I wrote in my proposal to Scholastic -- one of the most turbulent, changing, challenging, and defining decades in American history. It shaped a generation, and generations to come. Lee: What's your favorite piece of writing advice that you can share with our readers? Deborah: I would never have been published if I hadn't read everything I could get my hands on in the genres I wanted to write. I know my canon inside-out. That helped me tremendously to see what a story is and isn't. So... read. And write. Write from your heart over your head. Open up to the things that scare you or intimidate you or confuse you, and write from that place. Whenever I do that, I write authentically, and that's where voice comes from. If you'd like a chance to win a copy of "Revolution," leave a comment on this post. We'll select one winner at random a week from this posting. Good Luck! 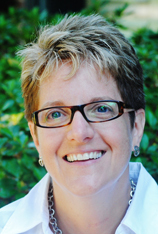 Deborah will be on faculty at the upcoming 2015 SCBWI Summer Conference, offering a Sunday afternoon workshop, "Structuring Your Novel: Providing A Scaffold For Your Plot." We hope you'll join us. Information and registration information are here. Michelle Knudsen On Winning The 2015 Sid Fleischman Award (For Humor) For Her YA Novel "Evil Librarian" -- And A Chance To Win A Copy Of Her Book! 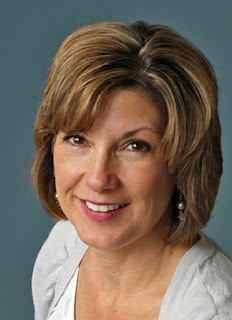 Michelle Knudsen is a New York Times best-selling author of more than 40 books for young readers, including the picture book Library Lion (illustrated by Kevin Hawkes), the middle-grade fantasy novels The Dragon of Trelian and The Princess of Trelian, and the young adult novel Evil Librarian, which was awarded the 2015 Sid Fleischman Award for Humor. Her most recent book is the picture book Marilyn's Monster (Candlewick, March 2015), illustrated by Matt Phelan. 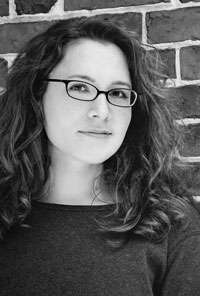 Michelle also works as a freelance editor and writing teacher, and is a member of the Writing for Young People MFA faculty at Lesley University. She lives in Brooklyn, NY. 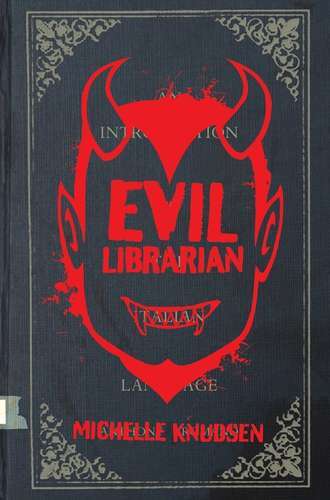 Lee: Congratulations on winning the Sid Fleischman Humor Award for your debut YA novel, EVIL LIBRARIAN! Michelle: Thank you!! :) I’m still kind of in shock about it. But it’s a really really happy kind of shock! Michelle: Sixteen-year-old Cynthia Rothchild's best friend develops a crush on the new, young, and REALLLLY hot high school librarian. At first it seems fairly harmless, but after assorted incidents of sinister weirdness, Cyn quickly realizes that the librarian is actually a demon — one who is slowly sucking out the life force from all the kids in school and planning to steal away her best friend to be his demonic child bride. Meanwhile, Cyn is the tech director for the school musical — they're doing Sweeney Todd, to which Cyn is passionately devoted, and even in the middle of a demon invasion, the show must (of course) go on. So she's trying to save the show from technical disaster and trying to get the attention of her own desperate crush, Ryan, who is playing Sweeney in Sweeney Todd (and who eventually gets mixed up in the demon stuff too) all while trying to save her bewitched BFF from eternal damnation at the hands of the evil librarian. It’s been described as Buffy-meets-Glee, which I take as an enormous compliment and would like to think pretty accurately captures the spirit of the story. It's basically a funny, creepy, demon-filled, musical theater horror romance adventure. Lee: Nicely summed up! So okay, this was your YA debut, but you’re well published in multiple categories for kids - you’ve done middle grade fantasy and easy readers and board books and activity books and picture books – you wrote the picture book Library Lion! What’s your take/advice to share on writing across so many different categories? Lee: So, I’m thinking about what makes something funny, and it seems that one of the secrets must be that to the characters, nothing is funny. In EVIL LIBRARIAN, for the main character, Cyn, every aspect of the story feels life and death and super-serious, whether it IS life or death or whether it’s about her crush liking her back… What would you say is a secret of funny? Michelle: I wish I had a good answer for this! I’m pretty new to intentionally trying to write funny (as opposed to being funny accidentally, which I think happens for me more often). I do think you’re right that part of it is about the characters themselves not thinking things are funny (Cyn’s feelings about Ryan for example), but I don’t think that’s always the way it needs to be ... there are moments in the book where I think Cyn sees the humor, too. To be honest, mostly I try not to think too much about the mechanics of trying to be funny and to just let Cyn’s voice and perspective bring out the humor ... then, in subsequent drafts, I play a lot with word placement and timing, to try to make the funny parts as funny as possible. I’m not a fan of mean-spirited humor, so I also try to make sure that we’re laughing with Cyn as much as possible, not at her. Lee: That's an important distinction, glad you brought that up. There are moments of horror mixed in with moments of levity - tell us about managing the balance. Michelle: I think horror and humor are so great together (like the literary equivalent of Reese’s Peanut Butter Cups!). Playing with both of them can also make each one more effective. It’s like the classic horror movie element where there’s a scary noise in the closet, and then something jumps out and for a second OMG you’re terrified but then oh, it’s just the cat. And everyone laughs in relief. And then the really scary thing happens, just when you were relaxing because you thought the danger was past. On the other hand, unless you’re really trying to torture your audience, I think moments of levity are needed to give people at least an occasional break from the darkness. Evil Librarian is more funny than dark, but even in much darker books, I think readers value the relief of those moments of levity. Lee: Are you a plotter or a pantser? Michelle: Both! With new stories, I usually dive right in, pantser-style, figuring out what the story is about as I go along. Then, usually around the 70-80 pages mark, I stop and try to figure out (usually via lots of freewriting and asking myself questions) what’s going on and who these characters are and what needs to happen. At that point I start working on an outline. I never used to be an outliner, but for my last few novels I’ve found it super helpful. Once I get the general shape of the plot down, I get more specific, trying to write up a chapter-by-chapter outline before I go back to finish the first draft. For sequels, like the third book in my middle-grade fantasy series (THE MAGE OF TRELIAN, coming out February 2016) and the upcoming sequel to Evil Librarian, I don’t need to get quite so far into the draft before outlining. In those cases, I’ll make a lot of notes about my ideas and then try to go right into the outline without the 70+ pages of figuring-it-out-as-I-go first draft. All of that really only applies to novels. For picture books, I almost always just start writing and wait to see what happens. Lee: You start off the book’s acknowledgements with a shout out to the Vermont College of Fine Arts MFA in Writing for Children and Young Adults program. How did doing that MFA program help you as a writer? Michelle: The VCFA program was amazing — I got to work with wonderful faculty and fellow students, and it really helped me take my writing to the next level. I became a much better reviser, which is hugely important to my process now. And I learned to take risks and try new things. For example, I’d really never worked in first person before, and decided to force myself to try a novel in first person while I was there. I ended up starting two of them (Evil Librarian and a completely different book, more of a fantasy, that I hope to get back to soon!) and finding a lot more variety in my writing voice and style than I’d known was there. The support system was (and still is) really valuable to me, as well. The students and faculty all cheer one another’s successes and serve as essential resources when one of us needs information or stumbles over a writing or publishing obstacle of some kind. In June 2015, I joined the faculty of Lesley University’s low-residency MFA program, and I’m so excited to be working with my students and trying to give them the same kind of guidance and encouragement I received when I was getting my own MFA. I can already tell I’m going to love being a part of Lesley’s Writing for Young People program. Lee: Congrats on that! How long have you been involved in SCBWI, and what impact has it had on your career journey? Michelle: I first joined SCBWI a very long time ago ... I can’t even remember how far back! Early in my career, I found the online resources and forums especially helpful. Talking with other writers and getting answers to questions and general support was so important in giving me both the information and the encouragement I needed to move forward. Since then, I’ve been to book festivals started by regional SCBWI groups and spoken at regional SCBWI conferences, and I love having the chance to give back to the writing community, trying to help newer writers in the same way I was helped out by more experienced writers when I started out. I’m also listed in SCBWI’s guide to freelance editors, and I’ve had the opportunity to work with many new writers on a one-to-one basis that way. 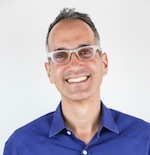 Lee: In addition to being feted and receiving your Sid Fleischman Humor Award at the big Golden Kite Luncheon, you’ll be leading / co-leading two workshops at the upcoming summer conference. Tell us about Saturday morning’s breakout workshop, OTHER WORLDS THAN THESE: BUILDING YOUR FANTASY UNIVERSE. Michelle: Worldbuilding is a particular interest of mine as a fantasy and science fiction writer (and as a lifelong sff reader!). We’ll talk about different worldbuilding strategies and techniques for revealing your invented world to your audience without getting in the way of the story. Lee: On Saturday afternoon, you’ll be on a breakout session panel with Jodi Reamer and Julie Strauss-Gabel, BUILDING A CAREER BODY OF WORK. What should we expect? Michelle: Since our panel includes an agent, an editor, and an author, we’ll be able to share our different perspectives and talk about all sides of the publishing process. I’ve never worked directly with Julie, but Jodi’s worked with each of us for many years, and knows us both really well. I’m looking forward to our discussion! 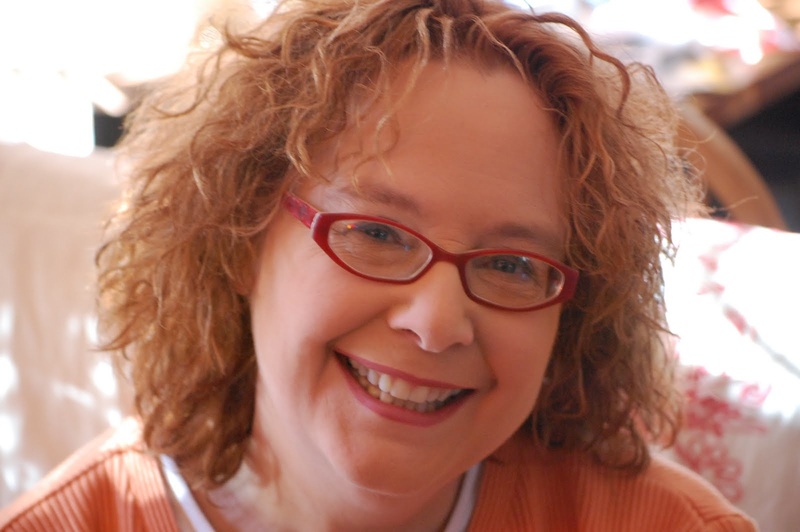 If you'd like to attend Michelle's sessions, cheer her on at the Golden Kite Luncheon, and benefit from all the business, inspiration, craft, opportunity and community of the SCBWI Summer Conference, join us in Los Angeles July 31 - August 3, 2015. If you'd like to be entered in the drawing for a free copy of Evil Librarian, leave a comment on this post. We'll randomly pick a winner one week from this posting. Good luck! 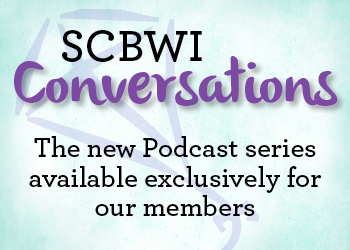 Freelance Editor and Children's Literature Legend Emma Dryden, in this latest episode of the SCBWI Conversations podcast series, speaks to Theo Baker about her journey into and with children's books. "...Here's the thing about changes in publishing. You know what? This is becoming the new normal. I don't think that at some specific date, everything is going to calm down and we will then be in a new age of publishing with all the rules clearly stated. I think we are in a state of flux, as the world is, as we are as people. And so it's a given, let's say, there's going to be a lot of different theories about e-books, about digital, and about best practices..."
You can learn more about Emma at her Drydenbks website here. Emma will also be on faculty at the upcoming 2015 SCBWI Summer Conference, co-facilitating a Friday morning workshop with Rana Diorio and Alison Weiss, "Small Presses: Though They Be Small They Be Fierce." Emma will also be giving a Saturday afternoon workshop on "Self-Publishing: Ten (or More) Things To Consider When Considering Self-Publishing." Her "Robust Revision" writers intensive (that she mentions in the podcast interview) is sold out. If you'd like the chance to learn from Emma and all the amazing faculty at #LA15SCBWI, join us from July 31-Aug 3, 2015 in Los Angeles. You'll find details and registration information here. 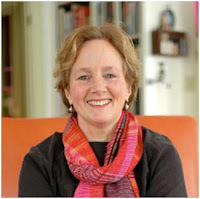 Melissa Sweet On Winning The Golden Kite Award For Picture Book Illustration (Again!) - And A Chance To Win A Copy of "THE RIGHT WORD: Roget And His Thesaurus"
Melissa Sweet has written and illustrated many children’s books, from board books to picture books and nonfiction titles. 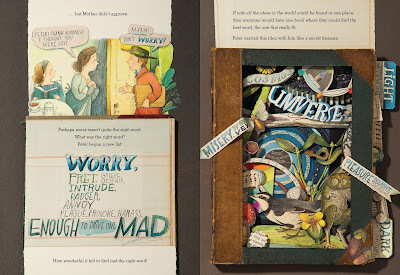 She wrote and illustrated Balloons Over Broadway, which garnered a Sibert Medal, and received a Caldecott Honor for A River of Words and The Right Word: Roget and His Thesaurus both by Jen Bryant, as well as two New York Times Best Illustrated citations. Melissa lives in Rockport, Maine. Lee: Congratulations on winning the Golden Kite Award – for the third time!!! Melissa: Thank you! It is an honor and a thrill. Looking forward to celebrating with you all. Lee: The Right Word: Roget and His Thesaurus was written by Jen Bryant. How do you start the process of illustrating someone else’s words? Melissa: First I look at what material I need to read, and in this case I began with Joshua Kendall’s biography of Roget: THE MAN WHO MADE LISTS. It’s important to find the whole story of someone’s life and to see primary sources. The quest is for visual clues to help decide which materials and imagery will best convey this person’s life. Once all these decisions are made, the art takes over and ideas shift within a piece of art, and throughout the book design. Lee: Tell us more about your research for the illustrations – in your “Illustrator’s Note” at the back of the book you mention holding Roget’s original 1805 word book in your hands. Melissa: I went to CA to see his original Thesaurus and Roget’s papers at the Karpeles Manuscript library in Santa Barbara. I was interested to see the book, how it was constructed, what kind of paper he wrote on, his handwriting, Also, in traveling to visit a place to research, the journey is part of it. I began to see the world through Roget’s eyes. 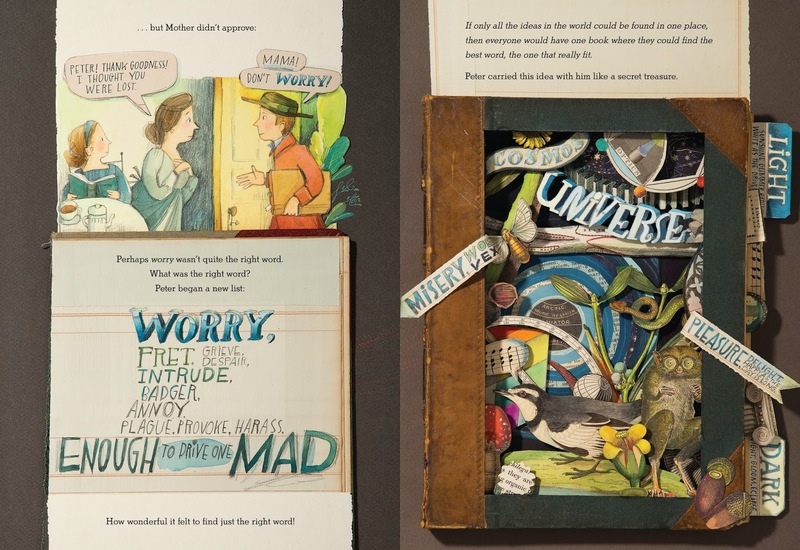 Lee: Your collages include ephemera, and words, and your illustrations, and printed pages as textures, and word balloons and lists… Tell us about your process of creating the art, both technically and aesthetically. Melissa: From the start I knew there had to lists – that was the genesis of the Thesaurus. But should they be in his handwriting, typeset, hand-lettered? There was a lot of trial and error and eventually I decided hand–lettering them would be the most fun and readable. Each list progressed from childhood to old age. The words I chose all came from his original Thesaurus – these list were not in Jen’s text. It took me an inordinate amount of time to settle on the words to use. As the illustrator, I break the text and place it where I want on the page. It’s a lot of playing around to create collages that feel spontaneous! The piece are glued down– there’s no photoshop. What you see on the page is the art I made, though in this book the back endpapers required some photoshop finagling to get the words to fit. Lee: There’s a lot of framed images within the frame of the pages, and with so much going on visually, how did you account for where a reader's/viewer’s eye would go first? Melissa: There is a hierarchy of information: the text, the lists, the pictures. It becomes a design puzzle. It doesn’t matter to me if readers search out the text first, or the pictures first. I want it to work as a piece of art, and be readable. Lee: The back endpapers are astonishing. Tell us about them. Melissa: Thank you. They were really fun to do. Though I don’t work consecutively, one of the first pieces I did was the front endpapers. I used bits of old books to convey learning and knowledge in a graphic, vertical “list.” At first I had no idea what the back endpapers would be, but the more I researched the stronger I felt that readers should see Roget’s list of 1000 words– the basis for his Thesaurus. This list was arranged by classification beginning with 1. EXISTENCE and ending with 1000. TEMPLE. In between is all human life– the whole world. It is a beautiful and awe-inspiring collection and organization of his lists. But how could I fit it into this 48 page book? The back endpapers were the perfect place. I wanted to hand–letter this list because I knew it would be slow going and that would allow me to spend time with each word and help understand Roget and his way of thinking. If this list was typeset, it would have looked static. I envisioned this being just words, but then added small spots to break it up visually, and to convey that these words describe our physical world. It was a nice mirror to the front endpapers. Lee: In addition to being celebrated and receiving your Golden Kite Award at the big Golden Kite Luncheon, you’ll be on faculty at the upcoming SCBWI Summer Conference, presenting at the Monday’s Illustrator Intensive on “Drawing In: Creating Inspiration From Tools At Your Fingertips.” Can you tell us a bit about what you have planned? Melissa: I’m really excited to share my process and talk about inspiration. My work changes slightly with each book, and the creative process is exciting and always in flux. It will be dialog about how to continue to grow as an artist. Lee: What advice would you have for writers as they craft picture book manuscripts that they envision being illustrated by someone else? Melissa: It’s a process of trusting that everyone is making the best book possible. Typically authors have some say in who they might like to see illustrate their book, but there are variables in schedules, timing, etc. Publishers work hard to find the right person to bring a story to life. Lee: What’s your favorite piece of advice you’ve received on your career journey that you’d like to share? Melissa: Don’t put all of your energy in the dummy. Save it for the art. My cryptic dummies prove I took that to heart! To be there to cheer Melissa on (and learn from her at the Illustrator's Intensive), you'll have to join us at the 2015 SCBWI Summer Conference, July 31 - August 3 in Los Angeles. All the details and registration information are here. You can visit Melissa's website here. 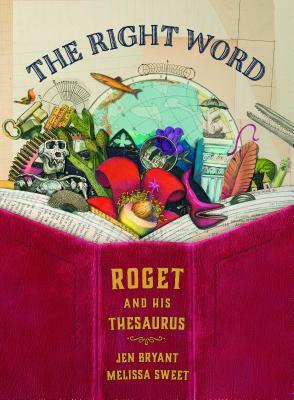 Want a chance to win a copy of "The Right Word: Roget and His Thesaurus?" Leave a comment, and we'll randomly pick a winner a week from this posting!